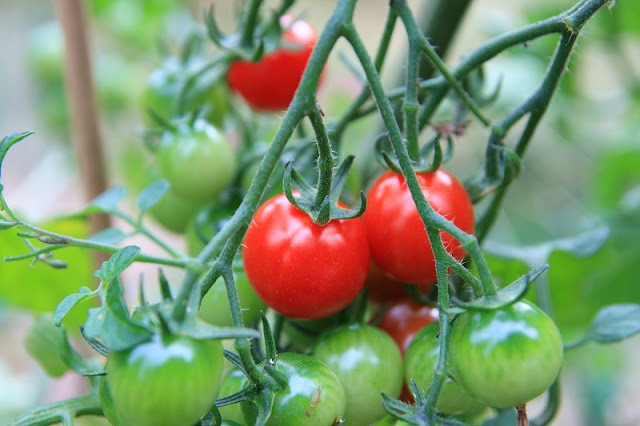 What if you could grow tomatoes year-round, no matter where you live? Although tomatoes are technically a perennial, they are grown as annuals here in the USA. 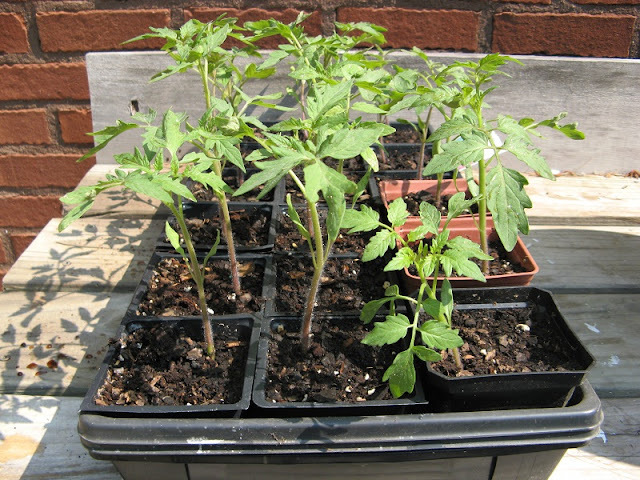 People who are fortunate enough to have a greenhouse often bring in their tomatoes before the first frost so they can have vine-ripe tomatoes late in the autumn, and they'll start their tomato seeds in very early spring so they'll have big healthy plants ready to go in the ground when the weather is warm enough. I don't have a greenhouse (and it wouldn't stay warm enough in the deep of winter to keep a tomato plant alive probably anyway). I've tried starting my own tomato seeds indoors with reasonable success, but we are lacking space in our tiny little house, and without grow lights the seedlings are leggy and not as robust as those from a nursery. I often end up buying transplants anyway. But could we grow tomatoes year-round without a greenhouse? I've heard many times about a huge, perennial tomato plant in Walt Disney World's Epcot Center that is grown in a greenhouse and supplies the tomatoes for the park's meals. After researching this plant, I could only find that it "lived more than a year" and it had a record-breaking harvest. Evidently the large harvest is much greater news than its longevity. But I know from experience that it's not only possible to take cuttings of tomato plants and root them in water, it's hard to fail at this. Just take a cutting from a healthy plant, stick it in a glass of water and wait. That's how easy it is. I wondered... if I take cuttings of my plants before the first frost, and root them in water, and when they get too big for the glass, I take cuttings of those and root them in water... could I have healthy plants to plant in the spring? Could I do this year after year, without having to resort to seeds? If it works, this would be a great way to propogate heirloom plants, wouldn't it? 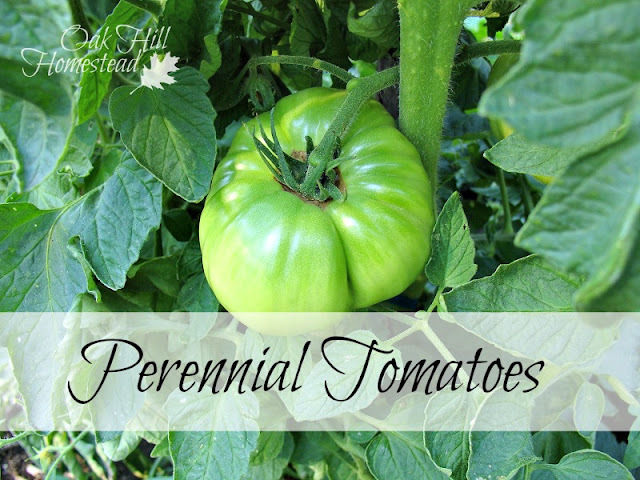 They wouldn't technically be "perennials" since it isn't the same plant coming back or continuing from year to year, but would in a way be "clones" of the same plant. I took cuttings of my tomato plants before the first frost and stuck them in a canning jar of water. At first the roots are small. But as the weeks go by, they go kind of crazy. The cuttings grow best in a sunny windowsill. Change the water often, and the addition of liquid fertilizer (or compost tea?) probably wouldn't hurt either. How do you cut them? Do you allow a sucker to get to moderate size and then cut it? Or are you cutting off the top of the plant? I cut off the end of several branches. Be sure you have indeterminate varieties. I have done this in the spring, multiplying seedlings (Suckers work best for this), but to keep them alive and happy all winter, I am not sure. Keep us posted! Next week I'll have a new post with this year's results, Anna. Stay tuned! Awesome! Im excited to see an update! I live in PEI and spent the coldest, snowiest winter in my lifetime, in 2015. I grew four tomatoes plants in pots and harvested ripe tomatoes all winter that were in my southerly windows. Now those same four tomato plants are out on deck, with a load of green tomatoes on them. It matters not where the plants are as long as they are happy, right? I love that you actually harvested tomatoes all winter long - that proves the plants were thriving! Great job! Thank you, Lana. How wonderful to have a greenhouse and have fresh veggies all the way till Christmas! My tomato seedlings were getting leggy also. I read an article that said to move the plant closer to the grow light and to take your hand and brush over them to simulate a breeze. I do this and can't believe what a difference it has made for my plants. They have become a lot thicker. Thank you, Vickie, I didn't know that a breeze, real or otherwise, would make them thicker. I've heard you can use a fan to simulate the wind too.